Q: I have recently gotten divorced. My daughter is three and initially enjoyed her time with her father, but since staying overnight she refuses to go. Each time he comes to pick her up it is a giant scene. I try to convince her and remind her what a good time she had before, but she won’t budge. What should I do? Note to readers: This response relates specifically to the questioner, who is a mother and primary caretaker. Though the terms “mother” and “father” are used here, other terms may be appropriate in individual families that may have different custody and caretaking arrangements. A: It is the parent’s job to see to it that the child feels at ease during time together. My guess is that staying overnight must have scared your daughter, and/or there may be other issues that she does not feel comfortable with. Any time we try to convince a child to ignore her inner voice and follow our ideas, we teach her to become dependent and insecure. In essence, we tell her, “Ignore how you feel inside, and do what someone else tells you.” Unfortunately she may actually learn this undesirable lesson. She is learning to fall for future peer pressure, media sales, social pressure and to become more dependent on what others say in general. This is the nature of insecurity, a learned habit of undermining one’s own inner guide and following others. As a result of your healthy attachment practices, your daughter shows self-confidence; she listens to herself and asserts her will. You want her self-reliance to stay alive and strong as it is. Independence is the result of trusting oneself. The child learns to trust herself when we respect her and when she experiences that life resonates with her inner voice. Therefore, the first step is to find what your daughter is trying to avoid by not going with her father. The child is always right, by which I mean she always has a valid reason for every choice and behavior. Instead of talking her out of her self-reliance, we want to find out her valid concern and take it seriously. • She does not want to stay overnight without Mommy. • Daddy isn’t meeting her needs the way she is used to. • She doesn’t like the food he gives her. • He takes her to his girlfriend, and she doesn’t like her. • Daddy works at the computer and doesn’t pay attention to her. • He talks critically of Mommy. • She doesn’t like going to Grandma with him for a list of reasons. • She is bored part of the time. • The visit is too long for her; she misses Mommy. • She worries about bathroom needs because at home he was not the one to help her. • He tickles her or overpowers her in physical play (with the best of intentions). • He insists on her taking a shower. • Combing her hair is not his best skill and it hurts her. • Dad’s neighbor has a dog that scares her. • She feels shame for doing things at Daddy’s that Mommy doesn’t want her to do. These are normal human issues that are often missed. Most problems can be alleviated by simply listening to the child. Our goal is not to get the child to go against her own will, but to provide a visit that she will want to go on of her own free will. We are not talking here about a father who is not safe or not good for the child. That would be a completely different conversation. From your question, it is clear that your former husband is a loving and nurturing father and that you support your child’s relationship with him. Once you understand that your child has valid reasons for her refusal to go, you will have the vital information that can help her father make a better connection. You can say to your ex-husband, “I want you two to have a close and wonderful time together. I wonder what we can do so she would be excited and comfortable on her visits with you?” Share what you have discovered to be the cause of the problem without instructing or making your child’s father wrong. To avoid implying that your former partner is doing something wrong, avoid talking about him, and talk only about the needs of the child. Instead of, “I think you are scaring her … ,” or “You shouldn’t tickle her … ,” you can say, “I know you play so wonderfully with her, and she loves you so much. And she told me that she is frightened when you play hide-and-seek and she cannot find you fast enough.” Or you can say, “She loves cuddling and being carried on your shoulders. And she said she doesn’t like being tickled.” Give information about the child, but do not follow it with a suggestion about what he should do. Leave that to him. Possibly he will say nothing, or even oppose you and defend his position. Try to stay connected and loving, saying something like, “I hear you, and I am sure you will find the best solution and have a great time together.” It is best not to defend your position. He will then be left with your support and connection and has a better chance of making the most caring changes. It is developmentally normal for children of this age to be afraid of sleeping away from the primary caregiver, and it will likely change over time if the child’s needs for security are met. My guess about your daughter is that she is not ready to sleep without you. If that is the case, then you can let her father know, “She told me that she is afraid of sleeping in your house. Would you like to see her an additional afternoon instead of the overnight?” Be a helpful partner who is trying to find the best way to make the visits so enjoyable and delightful that the child will be looking forward to them. A parent who cooperates with the child’s needs will have a child who wants to be with him or her. A child can handle divorce and visitations with much more ease when there is continuity between the two parents. Some children refuse to go visit their father because once there, they are offered things Mommy does not approve of. They may partly enjoy the breaking of Mommy’s rules and the “treats,” but at the same time feel confused and guilty. Deep inside, a child would rather give up the candy, toy or movie than come back home to her mother feeling ashamed and guilty, having something to hide. The harm to the relationship far outweighs the pleasure of the forbidden fruit. Therefore, the non-custodial parent will do himself a great favor if he respects the lifestyle established previously at home and the custodial parent’s food, education, cultural and musical choices, and other guidelines. We don’t want to use the child as a battleground for the couple’s issues. She will enjoy the visits when they do not include anything that creates inner conflict and disconnection with either of her parents. Anything that the child has to withhold and not tell becomes a painful force of disconnection and a reason the child may resist the visit. In addition, it causes the custodial parent to be less supportive of the visitations. I am aware of the fact that some non-custodial parents refuse to cooperate, and I hope that this article will have a positive impact on some of them. Most non-custodial parents are fathers with a soft and loving heart, who just need a little clarity. In reality, there will likely be some lifestyle and parenting differences between the two homes. 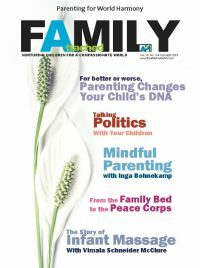 In issues you find you cannot change, you can empower your child to enjoy herself as well as understand your concerns. “At Daddy’s you get to watch movies, with me we read and hike.” You can also explain your values without laying guilt and reassure your child that having a good time with Daddy is most important. • If your relationship with your former husband is comfortable, join the visit. The child will love Daddy more if she does not lose Mommy every time he comes. Bring a book to read, and take time off while they play in his home or at the playground. In this way, life will be more similar to the way it used to be with two parents. • Consider having the child’s father visit at your home, so the visit is not linked to being away from Mommy or even away from home. • If you absolutely don’t want to be in the same space with your ex-partner, he can still visit in your home, and you can leave for the duration. You can go visit friends or the library, take a hike or otherwise treat yourself to time out, or rest in another room. For the child, the continuity of location, toys, food, bathroom, etc., can make things much smoother. • Instead of the child having two homes, some couples (especially those who share custody) choose to keep the child in one home, and the parents are the ones moving in and out. The child experiences Mommy at home and then Daddy at home on different days. This may be a lot less stressful for the child. • If the visit is too long, you can meet with your child and her father at the playground halfway through. She can keep playing with Daddy while you are present as well. You cut your break time, but you support your child’s relationship with her father. • Shorter, more frequent visits are easier for most children and reassemble life the way it was. This is only possible if your former partner lives close by. Seeing Daddy daily for an hour or two may not be realistic, but getting close to it may be a happy solution, especially if he comes to play with your child in her home some of the days. • If possible, until the child asks for it and sticks to it of her own free will, avoid overnights. We don’t have rights over the child. Instead, we are serving her autonomous needs, and her visits should be on her terms. Staying overnight is often associated with anxiety and refusal to visit. Even if a child enjoyed it once, it does not mean she will want to continue staying overnight on a regular basis. Postponing the sleepover will greatly benefit the father’s relationship with his child. He will not be the person whose presence is associated with anxiety. Instead he will have more daytime visits with a happy and relaxed child who loves to see him. Many visitation problems are avoided by keeping the focus on the child’s best interests and not on ourselves. The value of peace and flow for the child far outweighs any particular differences in our parenting opinions. Unfortunately, courts do not usually order visitation arrangements consistent with secure attachment principles. One possible alternative solution is for cooperating parents to go to mediation together. The mediator can help them structure a parenting schedule that addresses their child’s attachment needs. Some mediators suggest a gradual transition period, categorized by phases. Phase I could be day visits with the mother or primary caregiver present with the child and father or non-primary caregiver. After a period of six months, the non-primary caregiver starts taking the child for two-hour visits during the day without the primary caregiver. During the last phase, the non-primary caregiver has solo visitations with the child and possible overnight visits. If at this point the child is still not ready for solo visits or overnights, this should be respected by both parents. All that’s understood. But what if the mother creates the rift between father and child? Ex; putting other people before the father. Taking the child to a sitter instead to the father. Starting altercations in front of the child. Keeping him away every time she doesn’t get her way. What is the reason for child support?? Help me out!! I feel that there is a lot of truth in the article, but that it was definitely written by a woman. My experience is that the mother of my daughter went to great lengths to deliberately make my daughter highly dependent on her so that she did not want to stay at mine. In addition any partental routines I tried to establish (like sleeping in your own bed at the age of 5) were either unpicked at mom’s or there was a deliberate trend in the opposite direction, to try and make our daughter dependent on mom even more. I was always on phone call with my ex about “my problems” that meant my daughter didn’t want to stay, the problem was I was unable to parent my daughter and the “root cause” of “my problems” came from mom. 1) Mom or relatives in her side baby the child to a point that makes the child dependent on them. 2) There is no discipline and allow child to get away with anything he/she wants. 3) The child does not want to go with the Father, because the father provides stucture and loving discipline. 4) The Father does not follow the routines that the Mother has in her house and the child misses that, for example, after school the child will watch TV and play games until nap time, while with the Father,he will take the child out for a bike ride, library, do activities, play cops/fireman, run, all physical activities. 5) Crucial, Mother prefers to leave the child with her family instead of allowing more time with the Father, when he is available and willing to take care of them. 6) Making the transition difficult and telling the child that going with “Papa” is for a little bit, that he will come back, “Mama” will pick him/her up later, he/she will be back soon, etc… Instead of helping, the Mother’s are making the visitation seem to be a punishment or stressful. 7) The parent not having the knowledge that maybe they are the problem that the child does not want to go with the other parent, such as giving in to the child when they clearly know that nothing is happening in the other parent’s house and having professionals tell them that everything is ok at the other parent’s home and the child needs to get adjusted at both homes. 8) Finally, the parent needs to do research, talk to child psychologists, take more parenting classes, observe and make key notes of the differences of both homes and maybe see that the child will always prefer to go to the parent that allows the child to get away with things that they want, allow them to be in their comfort zone, allow the child to take control of the parent, go with the parent that gives in to everything, the parent that will give them the most attention when in reality they are taking advantage of that parent. These are a few of the things that I could come up with, but the point here is that without proper communication between both parents and without both parents working together, the child will get hurt. The best interest for the child is to have BOTH parents in their lives. The child will always pick and want to be with the parent that is less resistance, but both parents need to recognize this and work together so that the child sees that both parents are in it together and the child will be fine in either of the parent’s home. Like my child psychologist has told me before, the children should be lucky because he has two homes, two parents that love him and are there to support them. My son his nine years old he does not like to go to his dad house he tells me that he put something on his drink to help him falls sleep. And he tells me that he say bad word to him and yelling at him. but it seems like there nothing I could do to help my son. The critical age of lifespan development for a child / parent relationship to be affected by separation is around 10 to 12 years of age. At this time just before the child becomes an adolescent and strives for independent identity the need for attachment is still very strong and any negative assertions about the other parent are recognized, firmly embedded in the child and carry weight through the child’s lifespan. So essentially a separation of care at this stage will cause attachment problems with the second parent throughout life, causing deep-seated emotional insecurity, and ultimately affect the child’s life chances. Let us not forget the impact this has on the forgotten parent and their life chances! Best practice would indicate maintaining positive regard for the other parent regardless of the difficulties this intrinsically may have. Well clearly this article was written by a woman. It does say so, correct? To the men that have responded, it seems that you have responded in a rather defensive way displaying microaggression and not really taking in what she is saying and suggesting in this article. In no way was she suggesting that you are the “bad guys” or not doing your part as she clearly stated but rather compromises to not set your child up for all of the negative consequences, (insecurity, peer pressure, etc.) throughout life by forcing them to do things that are not of their will as people. If you were not to take things personally and truly think of the child’s best interest then it would be a lot easier on the child. I do believe they need structure and discipline but there are also to guide them into these things with patience and respect. They did not ask to be here and should not be subjected to being uncomfortable from there parents when there will be so many other things in life that will disappoint them. You made the decision to conceive the child so make the decision to alter your life around your child’s well being not the other way around. You were a child once and I’m sure that you can look back on and feel that your will was taken away from you. How did u feel? And having both parents in a child life is not always beneficial. Considering there is no positive influence or value of communication and partnering. If you want to have your separate life, do so, but don’t subject the child to such harsh and abrasive changes when you can make small changes to establish a secure relationship with your child . I watched exactly this problem happen with my son. He had spent nine hours every Sunday “with Daddy” since the age of five months. While this was traumatic at first when he was still getting most of his nourishment from breastfeeding, he seemed to adjust better around 9 or 10 months. He went through another phase of difficulty around age 2.5-3.5, seemingly associated with his grandfather no longer being present at custody exchanges (as far as I can tell, he really enjoys spending time with both his paternal grandparents), but this again settled down. Then, shortly before his fourth birthday, his father decided to push harder for overnight visits, which he had been angling for pretty much since the beginning but never seemed willing to really fight for until then. I agreed to this, but did not want more than one overnight in a row yet, as I felt it would be too traumatic. I had to be careful how I stated this, though, as I knew that I could open myself to accusations of “enmeshment”, “overdependence”, “babying”, and so on. His father absolutely insisted that he HAD to have the classic 48-hour weekend (more or less). We compromised on a roughly five-month period of single overnights followed by the two-night weekends his father NEEDED because “we might want to take an all-day trip somewhere”. Well, my son did not much like the overnight visits, but as we approached the end of the “transitional” period, I felt that he was adjusting and things might be okay again… if only the two-night weekends weren’t looming on the horizon. He NEVER adjusted to those. Six months later, he absolutely loathed his visits to Daddy precisely because they meant too much time away from me, and about two years later, this problem remains. Would he have reacted the same way if those longer visits had started, say, after kindergarten, when he might have been more developmentally ready for them? Hard to say. His father has, I fear, permanently damaged his relationship with his son. Of course, it doesn’t help that his father made fun of him for bed-wetting, is chronically negative (always looking for how his behavior is “bad”), calls him names, makes insinuations about how he must basically have no rules at my house, and generally puts my son in a variety of very uncomfortable positions, but the constant, underlying strain of separation anxiety, I think, is what has made it all so intolerable for the child involved. I think every father insisting on separating his child from its mother for long periods and especially overnight so that it may spend extended periods with him needs to stop and think about whether he wants to be permanently, irrevocably associated in that child’s mind with the aching pain and fear caused by separation from the mother, compounded by the great emotional strain of trying to cover up those feelings for the duration of the “visit” so as not to be ridiculed as a “baby” and otherwise emotionally rejected by the father who, after all, the child depends on for care in the absence of the mother. I feel this article totally ignores the possibility that the mother is creating these issues and is written by a woman trying to justify not sending a child to their father. My step-children’s mother tells them that when they’re not with her, she lays in their beds an cries for them. She sprays her perfume on their blankets so they won’t forget her. My step-children’s counselor stated the exact opposite of what you’re saying – that it was imperative the children continue full visitation and firmly told their mother that it was detrimental to the children to do otherwise. I think that this article is largely “mother centric” and generally poor advice. Children are not as fragile as some mothers egos. Mothers demanding that father’s keep all the same “rules” at both homes is ludicrous and controlling. Children are far more resilient than adults give them credit for. As long children are cared for, fed, clothed and safe they should be free from their mothers expectations to develop a relationship with their fathers on their own terms. I hope no one takes a word of this to heart, yet I suspect many mothers will use this “expert advice” to continue to interfere in they’re children’s relationships with their fathers and wonder why their kids are problematic as adolescents. There are many different perspectives on how to parent our children through shared custody. This is but one perspective. We encourage every parent to research their options thoroughly before making decisions that will impact their families. As with all of Attachment Parenting International’s materials, please take what works for you and leave the rest. I have an almost three year old. Her father and I live in different states. He’s seen her a handful of times since she was born, I feel like im pushing for them to have a bond and relationship but he doesn’t call her nor look for her. He goes weeks sometimes months without talking to her. Recently I flew with my daughter to let her meet his family and feel okay about going up there. Now my daughter is very attached to me and I’m scared I’m traumatizing her by making her go am I wrong to feel that way? I really want them to have a relationship because I know how it feels to not have a father in mylife. She knows my husband (her step dad) as her daddy because he’s always here. Even when he’s not he calls her everyday. She is supposed to fly out without me for a month. Do you have any suggestions? I want was is the best for my child and I don’t want to emotionally destroy her. Last time I left she came home and woke up every night crying holding me telling me not to leave. I cried and didn’t know how to react. I’ve never seen my daughter so emotional. Does anyone have any suggestions..? As a mother going through this same situation I agree with this article. I initially came here for advice but what I got was confirmation on what I thought and was doing is right. you never hear about a father’s love not that father do not love their children but a mother birthing a child and breastfeeding a child is a strong bond that forces her to have the child’s best interest in mind(a good mother). The role of the father is important to the child but first and foremost is security. I am glad I read this post because I was on the verge of giving in to the demands of the child’s father. He thinks my daughter acts different around me and wants “alone” time with her. in reality he just wants to impose his will on her and overpower her like you said in your article and with me there I will not allow him to disrespect her as a human. I love my child with my whole heart and many people don’t understand that positive qualities in adults start off in children and we should not hinder them just because we think kids should be in subjection to us. Its relieving to know that I am not babying or being overprotective but I am trying to raise a secure independent adult who doesn’t give in to peer pressure. This is a challenging situation for you and your daughter. It’s evident that you want the very best for your daughter and your attachment relationship. A great place to find support from other parents who’ve “been there, done that” is in the Divorce/Custody section of the API Neighborhood online discussion forums. You may find inspiration by reading others’ posts, or you can also post this question there for respectful, compassionate support from API Leaders and others. Information on gaining access to the API forums and special permission to the private Divorce/Custody forums are available through the above link. I’m a father very recently (as in a few hours ago) confronted with a 4yo son who wants to go back to his mother’s after one night of his tw night visits (I’ve had him pretty much every second weekend since separating about 5 months back). I love my son. He is happy to come over but reading this and asking him a few of these questions, he said he thinks it is too long to stay two nights. Yes, this is a 4yo telling me this, he knows what’s going on, and what he feels and needs. Unfortunately I’m trying to get through to his mother but nw I’m facing inflexibility because its my weekend and I need to “manage the situation” whereas I believe hat my sin might really want and need right now is his mother and his main home. Obviously this is a woman’s point of view and a woman author because they only Advocate one side of parenting from a woman’s viewpoint. Sad that advice can’t be given on what’s BEST for the child not tainted by a woman’s biases , assuming women are better parents, which has been proven not the case. “Developmentally” is used so often as what’s best for developing good well adjusted children, based on opinionated women, when communication and being present in a child’s life is best for development from both parents. When did women become so independent that eventually no one will be good enough for them except another woman? Woman’s lib has gone way to far. Unless this author is a lesbian and advocates anti-men sentiments? Men are still nessarry! Trent I’m impressed that you are taking into account what is in the best interest for your child. I truly believe that that initially was what fathers rights was based on . Dads who care, unfortunately it has been taken legally on a level of treating children like property 50/50 standard . Children are human beings and each one of our situations are very unique and different , as our children are . Basically it should be children’s rights , the right to feel safe , the right to be loved and have consistency in their life . Again I’m impressed to hear a dad look at the perspective of what is happening as a parent and not a hate mothers or fathers group , an advocate for our children’s best interest . As a child of divorce who is now starting to enter adulthood (I’m sixteen), I have to say this is one of the best articles I’ve read. After reading the comments written by opposers of the article, I’m appalled. Whether or not you believe that the reason(s) your child does not want to see you is due to the other parent, forcing the child to leave their security for an overnight visit especially will only make the child not only resent you, but the other parent as well which makes for an unhappy child. Another problem I have with these comments is the idea that the article is “mother-centric”. I have two friends who live with their father (they’re siblings), and their mother has visitation time. Unfortunately the mother and her husband constantly misbehave, in ways that are unspeakable, so I’d rather not get into that. The truth is that this fight isn’t between mothers and fathers, father custodial and non-custodial parents. But honestly, whatever the circumstance is, I think we should listen to the kids. I was an extremely anxious child, and later I was diagnosed as bipolar. I had terrible separation anxiety. That was coupled with my father’s emotion abuse; by telling me that there was something “wrong” with me because I was anxious and – although I didn’t know it at the time – because I was bipolar. He used to tell me that when I was with him, his wife was my mother and I was not allowed to call anyone from my hometown. He used to threaten me that if I didn’t start being happy with him he wouldn’t let me go home – although now I know that he couldn’t have legally done that – and he would talk about how my mom “mistreated” him during their marriage and divorce. Even so, whether or not you believe that a parent is trying to emotionally manipulate your child to hate seeing you, in the end it doesn’t matter why a child doesn’t want to go. The fact is that they don’t want to go. Forcing them to see you will only make them resent you. I’m a prime example of that. I am in a situation where I am alienated from my daughter. She puts up a fight when I go to pick her up, however, once we leave the sight of her maternal grandparents or her mother a switch flips and she is a completely happy and fun loving child. Now I walk around town with her and I have people come up to me and ask who I am, to which I tell them I am her father and they tell me they were told I wasnt in the picture, so god only knows what my ex tells people. Another thing is the mother tries and limits my time with my daughter, because she feels that my daughter is uncomfortable with me but that isnt the case. she keeps saying “she is in a strange place and not used to you….” this is BS because for her first 6 months I was denied seeing her and even denied knowing about her birth and then I have been fighting with the courts for the last two years for a decent visitation schedule to which she constantly tries to deviate from. My daughter is used to me and my family, my daughter does not feel overwhelmed. When she is with us she is happy and having fun always smiling and playing. We are far more active then her mother is and My daughter loves that…..what do we do when we are being alienated? im so glad I found this site ..
im literally crying ! I feel like im at war for my child ..
her feelings matter to me and I never want to put her in harms way . She is begging me NOT to go to visitations because he threatened to whoop her if she calls her step dad DAD. he also has hit me in front of her and as he was fighting me he caused her to hit her head and it gave her a knot. He also had her half the day on Christmas and didn’t buy her a thing .. its not even that that matters the most don’t threaten my child for loving someone else especially someone else that does everything you DONT do ! Can we have this conversation? He is not receptive to anything that soothes her, blocks me at every turn. If she does not go I will be in violation of court order which is what he wants more than he wants to spend time with her. She is 11 and upset and terrified. Judge says we cannot use police, and he is banned from the child exchange location. And the part about this post that really pisses me off is that it supports that mothers of view . Not the truth . She will see when the child grows up and hates her though ! Child wants strength not to live in fear ! Mother is just instilling fear and the child ! And every time that child goes back to her mother it’ just validates that fear even deeper . Child grow up with low self-esteem low self-worth and I pray for every bully out there !